County supervisors have voted unanimously to begin eminent domain proceedings against 10 property owners with 11 parcels in Leesburg for the planned courts complex expansion, even though those negotiations have not yet stalled. Typically, a government would condemn land and take it for public use only after negotiations to take that land amicably fail. The county is seeking drainage and construction easements on properties along Church Street near North Street and Cornwall Street, and along Edwards Ferry Road next to the planned expansion. According to a staff report, the county has made agreements with three property owners already, ranging from donating the easement to $1,906. The remaining permanent easements the county is seeking range from 147 square feet to eight. Some properties will be impacted only by temporary construction easements, ranging from 773 square feet to 36 square feet. The project is also expected to take away nearby parking from some of those addresses. 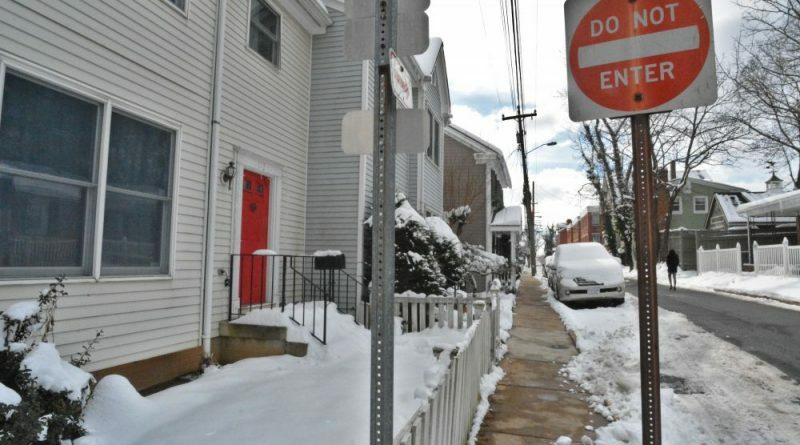 Two property owners will lose on-street parking in front of their homes, trading for reserved spaces in the county-owned Semones lot. The Olive Branch Lodge, a Freemasons lodge, will no longer be permitted to use the adjacent Semones lot, so its members will have to park at the Pennington lot or garage and walk two blocks to their monthly meetings. The report says that despite that complication, negotiations are “progressing” and landowners are willing to reach agreements. To keep the project on schedule, the county will need to secure all easements this month and win site plan approval from the town. Then the county can begin soliciting contractors for the $72 million project, which is scheduled to move to construction by this fall. The county estimates every month the project is delayed will cost $282,000. Department of Transportation and Capital Infrastructure Director Joe Kroboth said by email although he is ‘confident we’ll be able to reach mutually agreeable terms with most property owners,’ working with lenders connected to the properties adds time to the process. “Even if the lender is amenable to the transaction, our experience has been the lenders do not see these transactions as a priority and they take several months to a year to process the approval,” Kroboth wrote. Nobody spoke at a Jan. 9 public hearing on the eminent domain proceedings.